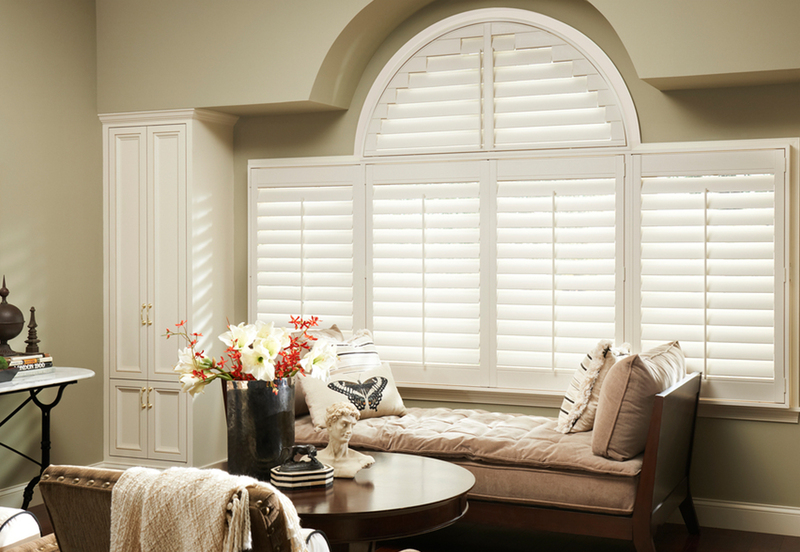 For traditional elegance, there is no better choice than custom plantation shutters. The classic beauty of our finely crafted shutters will bring years of pleasure and satisfaction to even the most discriminating homeowner. Plantation Shutters provide directional light control from ceiling to floor or from left to right depending on louver orientation. Wood shutters are constructed of only the finest North American hardwood, with the most technologically advanced equipment and techniques. They can be made in special shapes to enhance and highlight architectural features in your home. They are available in any color and are finished with environmentally friendly coatings. No lacquers, oils or other harmful VOC emitting coatings are used to ensure that you have the safest product available in your home.